More than 500 librarians and library supporters from every state gathered in Washington, D.C., on May 1–2 for the 43rd National Library Legislative Day (NLLD), an event organized by the American Library Association’s (ALA) Washington Office to bring US senators and representatives together with their constituents to talk about information policy. 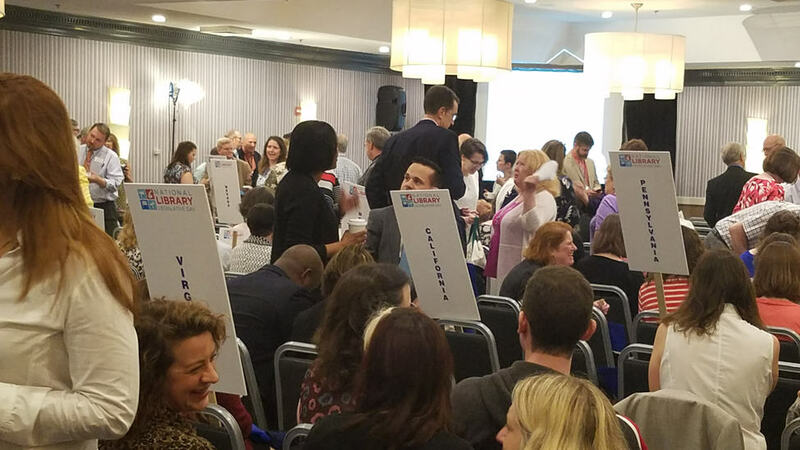 An additional 1,000 library advocates signed up to participate in Virtual Library Legislative Day to connect with legislators via email, phone, and social media. One piece of good news came early when Congress announced on May 1 a bipartisan agreement over the 2017 budget, which will fund the government through September 30 and includes $231 million for IMLS. The president is expected to sign it on May 5. 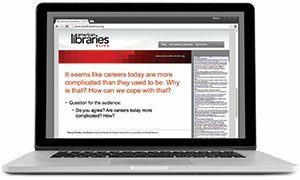 Work begins right away on the 2018 federal budget, and librarians are giving the highest priority to this in discussions with their members of Congress this week, urging them to continue to fund libraries through the Library Services and Technology Act ($187 million) and the Innovative Approaches to Literacy (IAL) program ($27 million). About one-third of the House of Representatives has signed Dear Appropriator letters in support of these two programs, and a similar effort is underway to persuade 51 members of the Senate to do so by May 19. 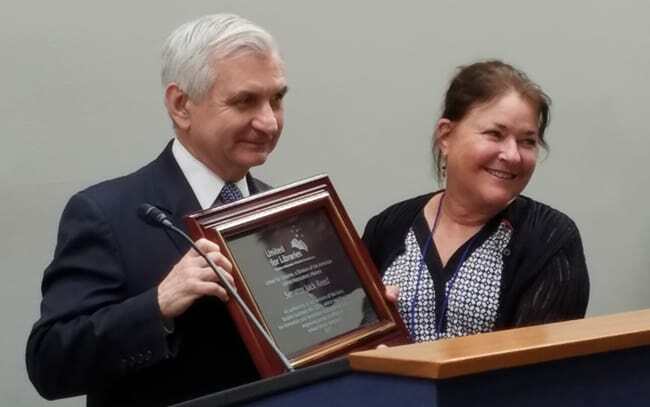 Sen. Jack Reed (D-R.I.) receives the United for Libraries Public Service Award from Executive Director Sally Reed. United for Libraries presented Sen. Jack Reed (D-R.I.) with its Public Service Award for the second time (the first was in 1994 when he was a representative). The division cited his “successful collaborative efforts” to help add language to the 2015 Every Student Succeeds Act that includes “effective school library programs” and for his aid in ensuring that $27 million was included for IAL programs in the 2017 budget. United for Libraries Executive Director Sally Reed (no relation) gave the senator his award at a special reception in the Hart Senate office building on May 1. NLLD began with a full day of advocacy training and issue briefings organized by the ALA Washington Office staff. The keynote was given by Hina Shamsi, director of the American Civil Liberties Union’s (ACLU) National Security Project, an initiative to ensure that US national security policies are constitutional. She said that the ACLU’s work with librarians has been “longstanding and respectful,” especially in the areas of access to information and intellectual freedom, and mentioned the Connecticut Four, the executive board members of the Library Connection who in 2005 challenged an FBI National Security Letter to hand over patrons’ borrowing records. They were represented successfully by the ACLU, and after one year the FBI dropped both its request for the records and the gag order that accompanied it. Hina Shamsi, director of the American Civil Liberties Union’s National Security Project. Shamsi is currently concerned about the authority granted by Section 702 of the FISA Amendments Act of 2008, which allows the National Security Agency (NSA) to collect from internet providers all electronic communications outside the US that could contain foreign intelligence sent directly from or to a foreign target. However, she added, disclosures by former Central Intelligence Agency contractor Edward Snowden in 2013 revealed that federal agents were also collecting data, some of which could be domestic and in violation of the Constitution, that merely includes the email or phone number of a foreign target. On April 28, the NSA announced it would end this controversial collection to comply with an order by the Foreign Intelligence Surveillance Court. But Shamsi warned that the NSA was “only stopping the procedure because of technical problems in filtering out the domestic from the foreign data.” A real risk exists that it will be quietly resumed in the future. “The government is not relinquishing these powers, nor is it disavowing its authority to do so,” she said, “so the news you see about this does not mean an end to the NSA’s global dragnet. 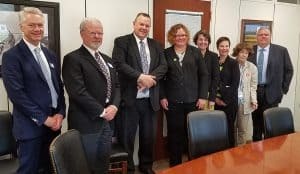 More significant reforms are needed.” She urged librarians to voice their concerns about the privacy implications when they meet with their legislators. 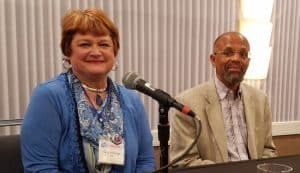 Adam Eisgrau, managing director of ALA’s Office of Government Relations (OGR), and Carrie Russell, director of the Program on Access to Public Information, mentioned some items that relate to open government that are worth advocating for. The Preserving Data in Government Act was introduced on April 28 and aims to require all federal agencies to preserve open access to existing government datasets and prevent their removal without sufficient public notice. The Open, Public, Electronic, and Necessary (OPEN) Government Data Act, reintroduced March 29, would require agencies to publish their reports online using open, nonproprietary formats. The Fair Access to Science and Technology Research (FASTR) Act, passed by a Senate committee in 2015 but not yet voted on, would require taxpayer-funded research to be made open access one year after publication. Action is still needed on the Equal Access to Congressional Research Service (CRS) Reports Act, mandating that nonconfidential taxpayer-funded reports published by CRS be made openly available. The Senate has yet to ratify the Marrakesh Treaty, an international copyright agreement adopted in 2013 that went into effect in September 2016. The treaty allows all signatories to allow copyright exceptions for accessible versions of books to be made for visually impaired persons across borders. Russell said 27 countries have ratified the treaty, but the US has not, with some stakeholders claiming it is not economically viable for them to make accessible copies. The Register of Copyrights Selection and Accountability Act, passed overwhelmingly in the House on April 27, would make the Register of Copyrights a presidential appointee, taking it out of the hands of the Librarian of Congress and giving the position a 10-year renewable term with removal only for cause. The law would increase media industry influence over the register. The Senate must still approve it before it can become law. 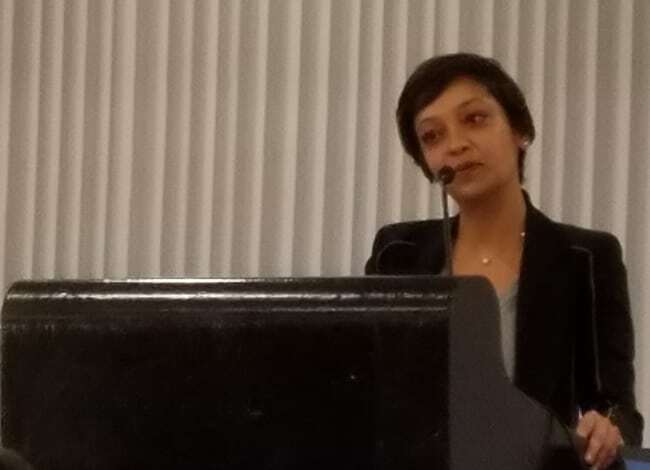 Larra Clark, deputy director of the Office for Information Technology Policy (OITP), stressed the need for support for strong net neutrality protections, which the ALA Council established as a priority nearly 10 years ago. Federal Communications Committee (FCC) Chairman Ajit Pai announced his intention to roll back the internet regulatory framework (known as the Open Internet Order) the agency adopted in 2015 that would have legally prohibited ISPs from speeding, slowing, or blocking selected internet traffic. Pai wants to abandon treating the internet as a public utility, Clark said. The FCC plans to open the proposal for public comment at its May 18 meeting. It’s unclear how net neutrality would be controlled under alternate rules—whether by the FCC in a more limited role, by the Federal Trade Commission, or by industry self-regulation; thus ALA favors a legislative solution, rather than rules that change and are challenged by each succeeding administration. Marijke Visser, associate director of OITP, discussed the E-Rate program, which provides funds to schools and libraries to enhance broadband and Wi-Fi service to the public, particularly in rural areas. She said that the program itself was not under immediate threat but that Pai indicated he wants to review its details and consider a student-centered funding model in which schools would receive money on a per-student basis rather than on need. Fuld strongly recommended prioritizing your want list. Lead with the one or two issues that are the most critical or the most likely to make headway with your legislator. Then briefly mention any others that may interest them. Finally, Fuld said, ask them for their vote or their support. As a follow up, “find out from them who else you should be talking to as potential advocates or partners.” Send them a thank you by email, schedule a second meeting if necessary, give their staff your contact information, and go to their town hall meetings. Topeka and Shawnee County (Kans.) Public Library Director Gina Millsap and Washington Postcolumnist Joe Davidson. The new (as of February) motto of The Washington Post served as a link between librarians and journalists for a panel set up by ALA Press Officer Shawnda Hines. Both professions, she said, disseminate “information that enlightens and empowers leaders,” making them partners in dispelling the darkness of disinformation. 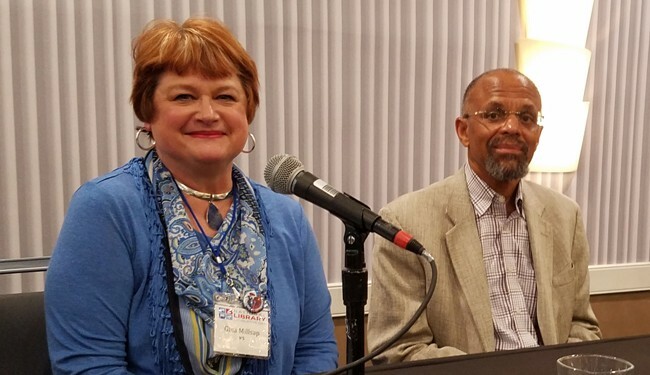 Also on the panel was Joe Davidson, the Washington Post columnist who wrote “Support grows for small agency with a big reach on Trump’s budget death row” on April 21. It was all about the threatened demise of IMLS and what it would mean for libraries and their users. 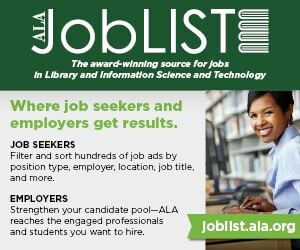 Davidson gathered quotes from ALA President Julie B. Todaro, IMLS Director Kathryn K. Matthew, and public library director David Smolen in Conway, New Hampshire, who had originally alerted him to the problem. Update: Corrected amount of IMLS funding, May 4.